Crop: A thousand varieties of perennials, 275 varieties of vegetatively propagated annuals, 47 varieties of annual and perennial grasses, 59 varieties of shrubs and 108 varieties of native plants. 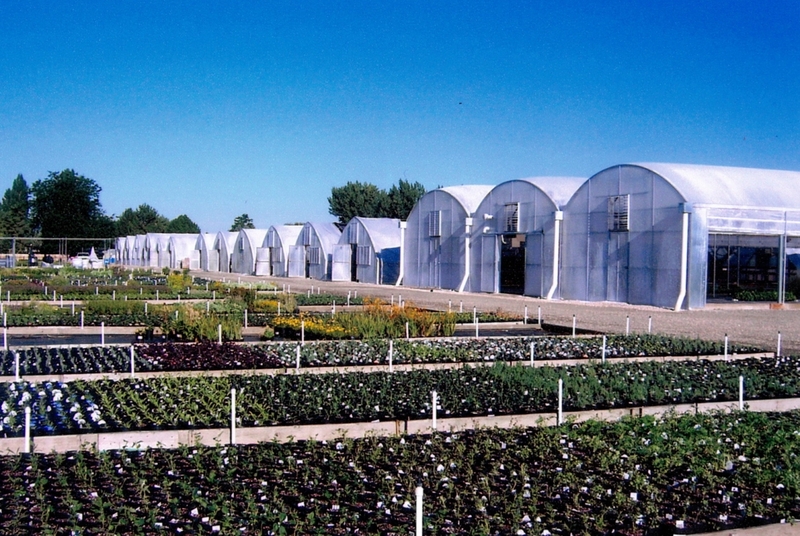 Perennial Favorites started with buying Agra Tech North Slopes in 1995. And to date has twelve Quonsets and one range of 3 Insulator houses all at 108' long. This gives them over 41,000 sq ft of growing space.